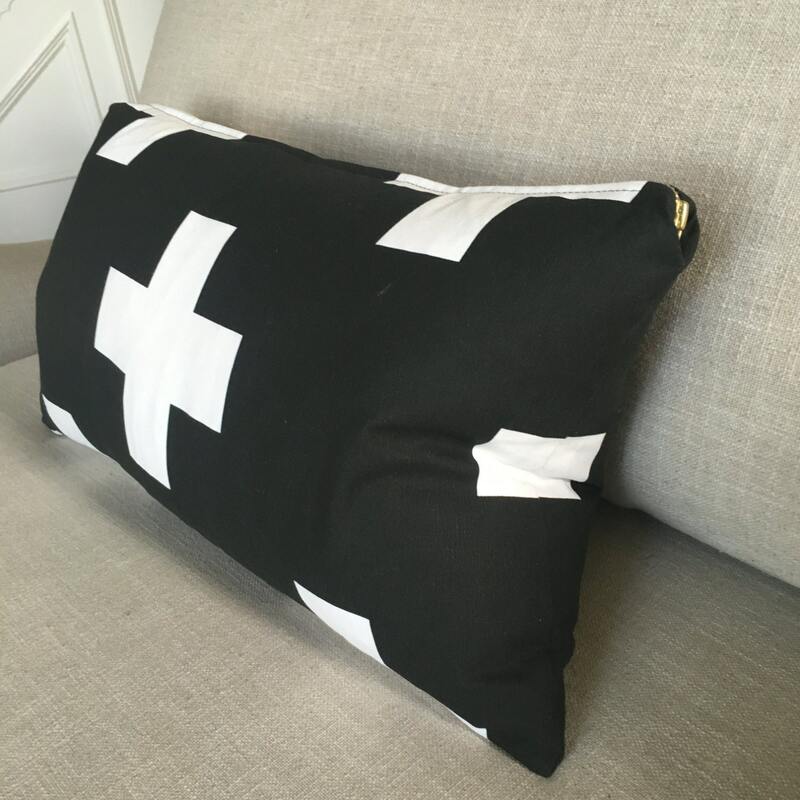 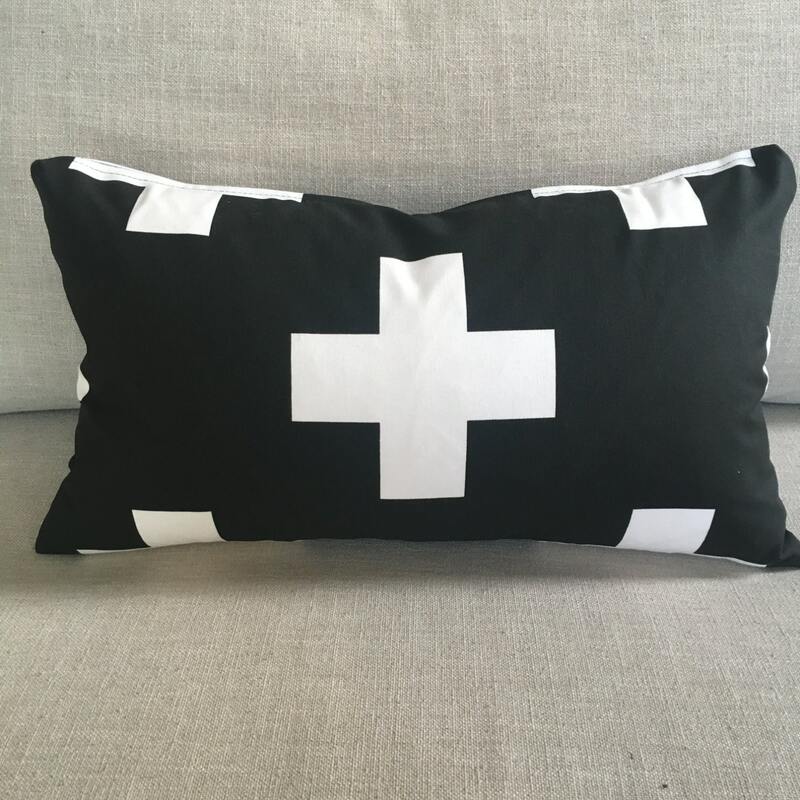 This masculine Swiss Cross Lumbar Throw Pillow, in crisp black and white, is the perfect accessory for a den, boy's bedroom, or man cave. 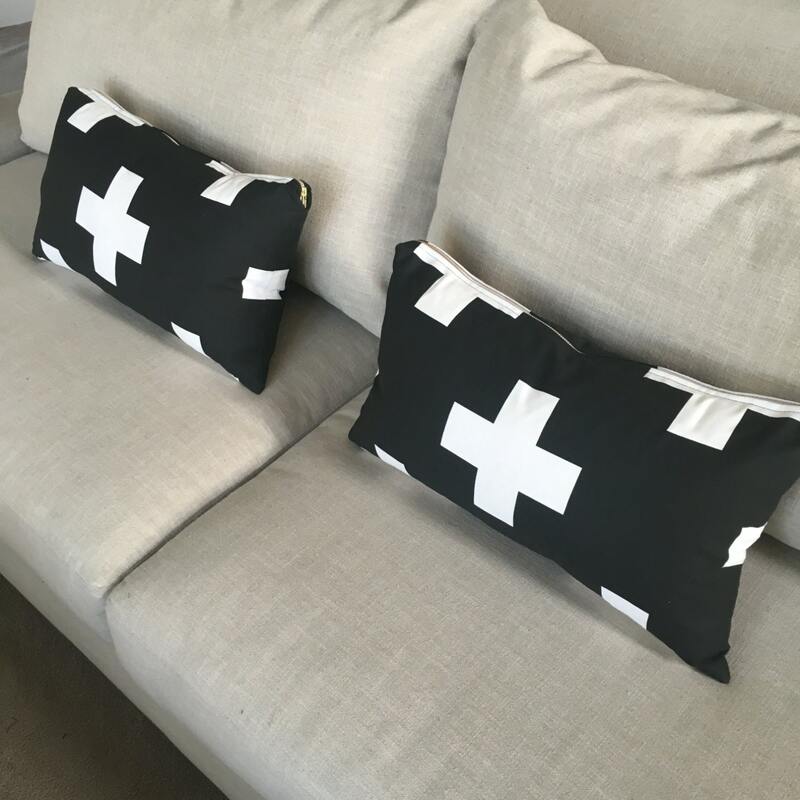 Made with impeccable craftsmanship, and attention to detail, the swiss cross pattern is matched on all sides. 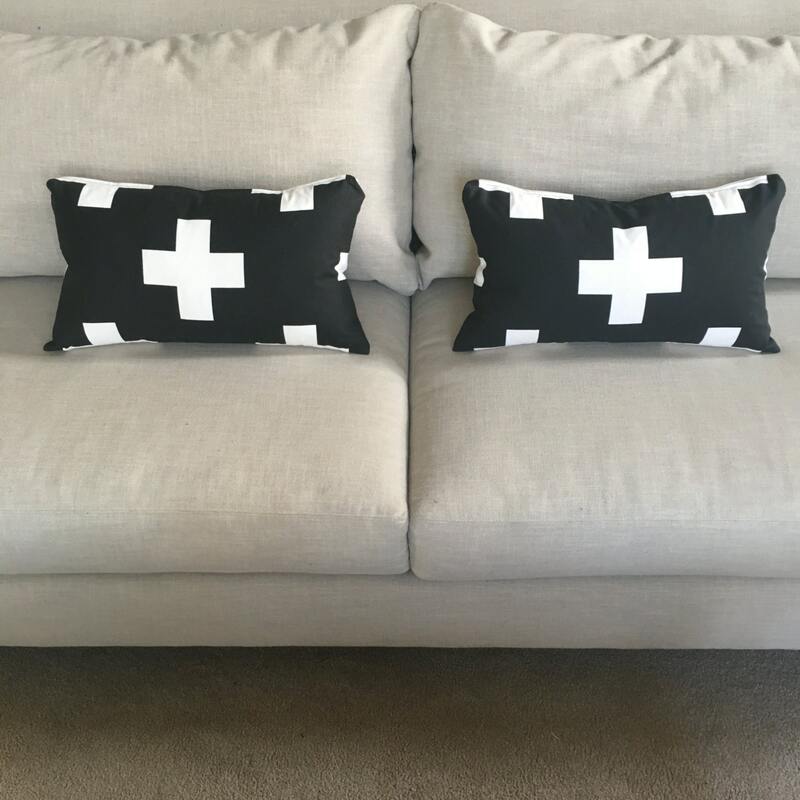 This thick, high quality home decor grade fabric will maintain its shape and crisp look. 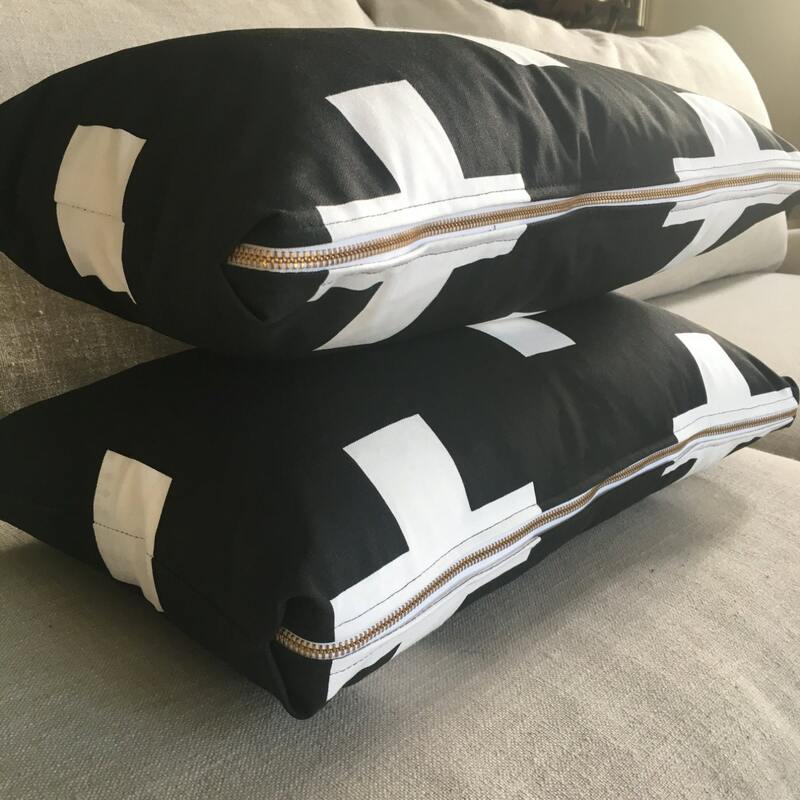 Complete with Vine Street Collective's trademark chunky gold zipper, this lumbar pillow packs a serious design punch!